Kitsap residents shopping for 2017 coverage through Healthplanfinder will have four insurers to choose from. BridgeSpan Health Company, Group Health Cooperative, LifeWise Health Plan of Washington and Premera Blue Cross were approved to offer plans in Kitsap through the state exchange, according to the Office of the Insurance Commissioner. Regence Blue Shield and United HealthCare, which offered exchange plans in Kitsap in 2016, aren’t selling exchange plans in the county for 2017. United HealthCare dropped out of the state exchange entirely. 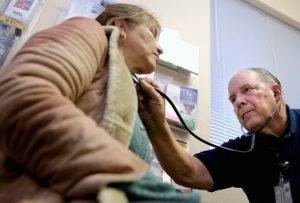 Three carriers — Group Health Cooperative, Group Health Options and Regence Blue Shield — are offering individual health plans in Kitsap outside of the exchange. Statewide, rates for plans sold in the individual market will increase by an average of 13.6 percent for 2017. Open enrollment for the individual health insurance market starts Nov. 1, 2016 and runs through January 2017. Enrollment in Apple Health (Medicaid) is open all year. Click here for enrollment info. People will actually see a greater increase as everyone got a year older. These numbers don’t take that into account. This is all a result of 3 words, guarantee issue & mandates.